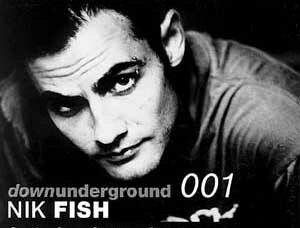 SYDNEY DJ NIK FISH will launch his new CD DOWUNDERGROUND on Saturday night at The Cambridge Hotel 'in the old BAR DECO' from 10.30pm. On Saturday afternoon Fish will perform live from 2pm at new dance music store PDMs at 176 Hunter St Mall. The double CD features tracks including NIGHTINGALE by DJ MIND-X, MAKE IT PHUNKEE by BEXTA, INSTANT MOMENTS by R.O.O.S, THE REBEL by YVES DERUYTER and EISBASER by GROOVEZONE. The CD explores the sounds of 'Tek-House, Nu-NRG, Trance and Techno from Detroit to London, Berlin to Sydney'. On Saturday night Hunter DJs NEOTOKE, SAM CARROLL and GEORGE PATSAN will lead the all-night music fest, featuring FISH on turntables, until 5am. Tickets are $10 and $7 for students and DOGBITE ticket holders. TE has five copies of DOWUNDERGROUND to give away. To go in the draw send an envelope with your name, address and telephone number on the back, to THE POST/TE NIK FISH GIVEAWAY, PO Box 200, Newcastle, 2300.